"I am very grateful to the Clarke & Co Builders team for their professional service and delivery of such a high quality home. I hope to spend many happy years enjoying it…"
Clarke & Co Builders have been creating beautiful homes for families in Geelong and the Surf Coast for more than 25 years. With an enviable reputation for exceptional service and quality, Clarke & Co Builders take pride in delivering projects on time and on budget. If you’re planning a new home, renovation/extension or just need advice about the possibilities, contact us and experience the difference a local expert can offer. With a reputation for quality builds and transparency throughout the construction process, Clarke & Co is renowned for using only the best local tradespeople to ensure the highest standard of finish, competitive prices and most importantly, an angst-free building experience. Built to meet the specific needs of a young family this Deep Creek home has separate zones for parents and children. The C-shaped floorplan allows for the creation of a children’s play area where kids can be seen across the courtyard by their parents, but not heard, while the secluded Master Bedroom on the first floor boasts spectacular views. The bold exterior belies a surprisingly compact home designed specifically for a narrow, 14-metre wide block. Although the block is narrow, the design’s clever floorplan and use of natural light creates a sense of open space. Glass doors in the lounge/dining open directly onto the outdoor entertaining area, effectively doubling the home’s living space. For this sloping block we came up with a split-level design to give the home maximum space, despite its relatively small foot print. With four bedrooms and two living areas it’s an ideal family home boasting spectacular views across Geelong and out to the bay. The exterior lines mirror the slope of the land and the use of mixed materials and earthy tones help it blend naturally into its surrounds. The home’s footprint was carefully situated to capture the natural beauty of the bush-like landscape with large windows to take in the stunning views. Inside, careful consideration was given to the busy family’s lifestyle and the desire to create separate zones for parents and children. We know the Surf Coast. 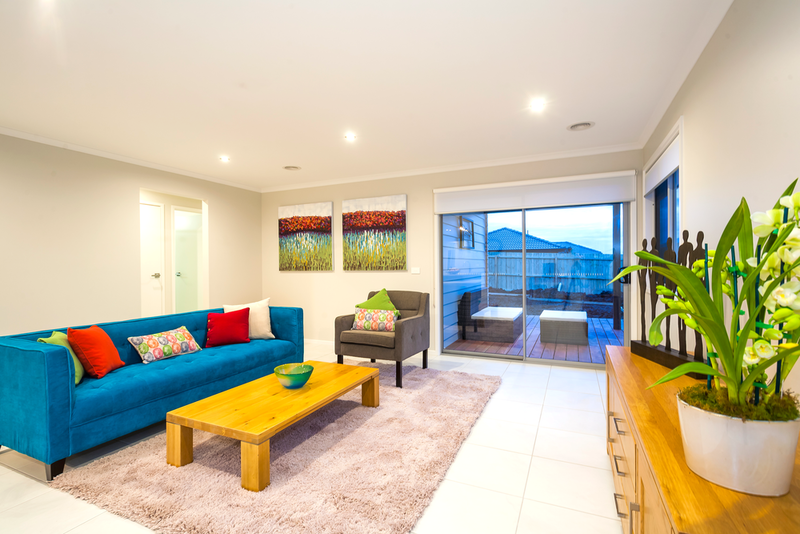 One of the leading building and construction companies on the Surf Coast, our solid relationships with the area’s best tradespeople mean we deliver homes of the finest quality at competitive prices, every time.